I READ an interesting article by one Sani Dikko in the Vanguard edition of January 9, 2019 entitled: “Boko Haram and Gov. Shettima laughable gaffes”. Apparently, the author had some bones to pick about the visit of a delegation of Borno State leaders led by the state’s Governor, HE Kashim Shettima. Dikko started his article on a polite enough note, but somewhere along the line he lost his composure and resorted to near or outright insults. Over what, you may ask? The source of Dikko’s displeasure was the 10-point agenda the Governor submitted to President Muhammadu Buhari. These were obviously the resolutions reached during the meeting with elders, leaders and stakeholders in Borno State Government House on Monday, December 28, 2018. That meeting drew national attention because it came on the heels of the ambushing and killing of scores of Nigerian soldiers by Boko Haram in Metele and other areas, and the recapture of many formerly liberated communities by the insurgents. Strangely enough, Dikko’s anger was directed at the 10-point agenda which the Borno leaders had hoped would help to reverse the rapidly deteriorating situation if implemented. These items were not made public, and the public did not even clamour for them to be disclosed because they were for the President’s ears only. They were mere suggestions, and the President was at liberty to do what he chose with them. Dikko claimed that “a reliable security source” confided in him that part of the suggestions was for the Civilian Joint Task Force, CJTF, popularly called “Civilian JTF” to be provided with arms to help the military in the war against Boko Haram. Dikko did not realise that, in his haste to discredit Shettima and the Borno delegation, he was actually betraying the confidence reposed on him by the “reliable security source”. Not only that, he was exposing to the public and the insurgents a carefully concealed secret meant only for the ears of the Commander-in-Chief, President Buhari. There is no doubt that some elements within the Presidency and the military were displeased by the Borno leaders’ delegation to Aso Villa. They were also unnerved by the governor’s sobbing while he read the State’s message to the President. The Governor’s open admission that “we rushed here because Boko Haram threatened to retake Kukawa (Local Government)” angered some highly-placed regime and military officials who still wanted the old stance that “Boko Haram no longer occupies an inch of Nigeria’s territory” maintained at all cost in spite of clear evidences that the insurgents, especially the Islamic State in West Africa, ISWA, commanded by Abu Musab Al Barnawi, have taken more territories than Governor Shettima dares to publicly admit. Thousands of new refugees were streaming into Maiduguri every day, and the news was all over the internet. Can you hide a full-term pregnancy by covering it with your palms? Sani is obviously a mailed fist carrying a guided missile, perhaps meant to do some political damage on the governor. 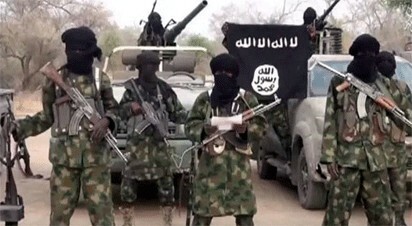 Politics has been the main challenge facing the war against Boko Haram. Everybody – from former President Goodluck Jonathan to Governor Kashim Shettima; from President Buhari to the Nigerian military, has helped himself generously to the politics of this war. For instance, this much-bandied issue of 20 local governments being under Boko Haram during Jonathan’s regime is a highly-suspect historical fact unless properly situated. In his address at Aso Villa, Governor Shettima correctly said that 20 local governments were under Boko Haram between 2013 and 2014. But Dikko lied that they were under Boko Haram when Buhari took over. It is a lie, at least for the simple empirical reason that the Borno electorate voted in all local governments in the State during the general elections which took place in March 2015. If 20 local governments were under Boko Haram in 2015, it means that the terrorists allowed the elections to take place in their “caliphates”. If that were true, then the collusion theory would also be true. I believe that the Jonathan regime, during the six-week surge, beat back Boko Haram enough to enable elections take place throughout Borno State which was a known Buhari stronghold. People should stop telling barefaced lies because we are all living witnesses to this recent history. Besides, not all of us can be fooled with self-serving propaganda that now turned around to haunt the innocent and defenceless people of Borno and the North East. My message is for all of us: if we want to defeat Boko Haram, then enough of foolish politics. It was true that many people (including, perhaps, former President Jonathan) suspected politicians and leaders of Borno of collusion with the terrorists. This was because of the utterances of some irresponsible Northern leaders who said the war against Boko Haram was a war “against the North”. Jonathan will also be blamed for his initial lacklustre attitude to the insurgency until he saw the political danger it presented against him. The Buhari regime also has a share of the blame because they fed us false information, insisting that Boko Haram had been defeated. Meanwhile, a heavy rot had developed within the military, leading to the abduction of the Dapchi school girls and the military resurgence by the terrorists. It was based on this narrative and his own resolve not to give to the intimidation of the terrorists that Governor Shettima embarked on the ambitious construction of over 30,000 housing units in devastated communities to resettle the displaced persons. We must jettison unhealthy politics and mobilise the entire Nigerian citizenry to confront the Boko Haram resurge with one accord. That is a job left for President Buhari or whoever will succeed him if he is voted out. We need a positive new beginning devoid of selfish pursuits. We also need to investigate and punish those who might have been profiting from the Boko Haram war. We must identify and punish those who are failing to provide our troops with the right equipment despite the billions of dollars unilaterally withdrawn from the Federation Account without parliamentary approval. We must also counter the ISWA’s cunning strategy of winning over our people by presenting a false humane face in communities they have recaptured. If we eschew negative politics and corruption, Boko Haram is no match to the Nigerian Armed Forces.